Wait, What? Tunisian Muslim Party Nominates Jewish Candidate in Elections - The Maghreb Times ! Just a few days ago the Tunisian NessmaTV channel mistakenly broadcast a satire report of the French online magazine Le Gorafi, saying that Emmanuel Macron allegedly entrusted the reorganization of Islam in France to a female rabbi. But the “news,” which was meant as a joke, suddenly became a reality in the African country itself. The Tunisian Renaissance Party, an Islamic democratic political party, nominated a Jewish candidate to stand in municipal elections. Official representative of the party Imed Khemiri confirmed this information to Sputnik. “Our lists are open to independent candidates, and Simon Salama is the one. This is absolutely normal, since it corresponds to a political line that was determined at the party’s congress [in May 2016]: to open the party’s doors to all Tunisians, both men and women, all groups of the population in the country, people of different education levels and professions,” Khemiri told Sputnik. The decision to separate politics from religion adopted in May 2016 caused vivid discussions in the county, but no one could imagine how far the party would go. “If the Renaissance Party nominated a Jew in the elections in Monastir, consider me one of the Muslim Brothers,” Tunisian Jew Jacob Perez wrote in Facebook. “Since the proclamation of independence and up to this day, no party or organization has ever sympathized with us,” he added. At the same time, Adnen Limam, writer and expert on the Renaissance Party, argued that the party’s representatives managed to make a good PR move, while avoiding big risks. 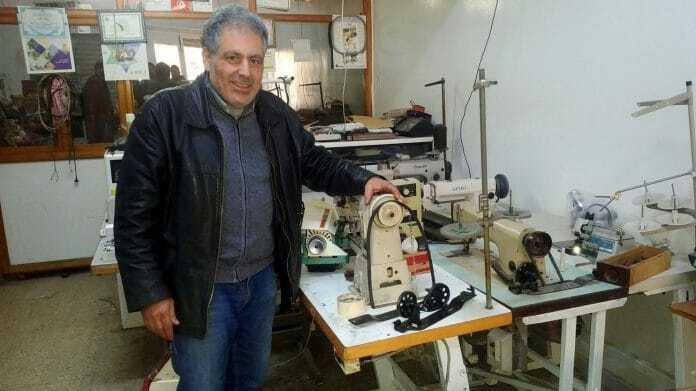 “They included this Tunisian Jew in the list in the city of Monastir. This is a district where their positions are not very strong. Why not nominate him in some other city, where they have strong positions, or in Djerba, where there is a large Jewish community?” Limam told Sputnik. The analyst believes that the Renaissance Party primarily “sends a signal to influential Jews outside the country”. In addition, he stressed that it is not the only party that has used political marketing tools ahead of the crucial local elections. Lots of public figures, athletes and other celebrities on party lists are meant to “cover up the absence of real [political] programs,” Limam argued. Tunisia is expected to hold long-delayed municipal elections on May 6, 2018.